However, for a gourmet traveler like me, the focus has always been on the food and cuisines. All my travel expeditions have two main objectives, volunteering and food (I like to indulge in binge eating and trying local dishes wherever I travel to). So, when I got the opportunity to volunteer in India, I made sure of making the optimum utilization of the same. I have always heard a lot about Indian cuisine and how spicy and tangy it can get. This was my chance to try out what is considered to be one of the best cuisines in the world. And it didn’t take much time for me to fall in love with the cuisine! Since my volunteer project was located in the capital city of India, Delhi, it was here that I entered this incredible country from. And it helped me satiate my food lust. Delhi is said to be the foodies’ paradise with specialities of all states and regions in India, without losing their authentic taste. Here I’ve listed down my top 10 picks from the menu. I got introduced to the spice brigade and tang flagship of Indian cuisine through this interesting platter of famous North Indian dish. 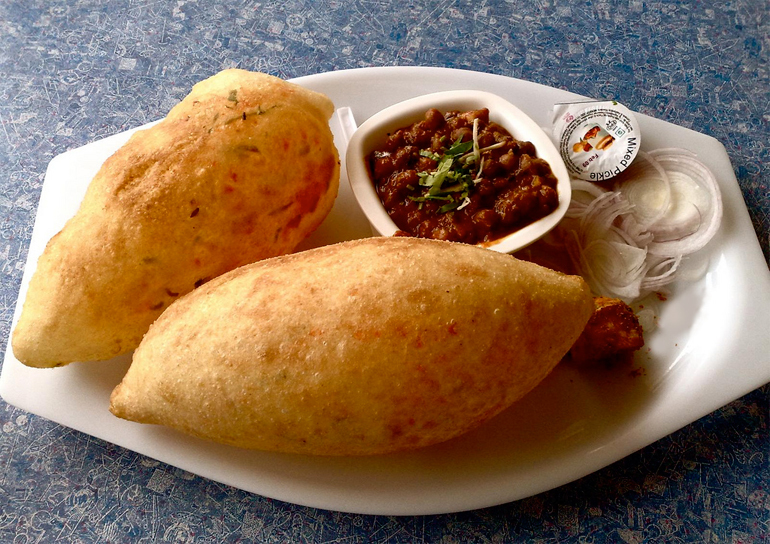 A combination of spicy chick peas (Choley) and fried bread made from bleached wheat flour (Bhature), the delicacy has a reputation of sidelining any dish on a table. 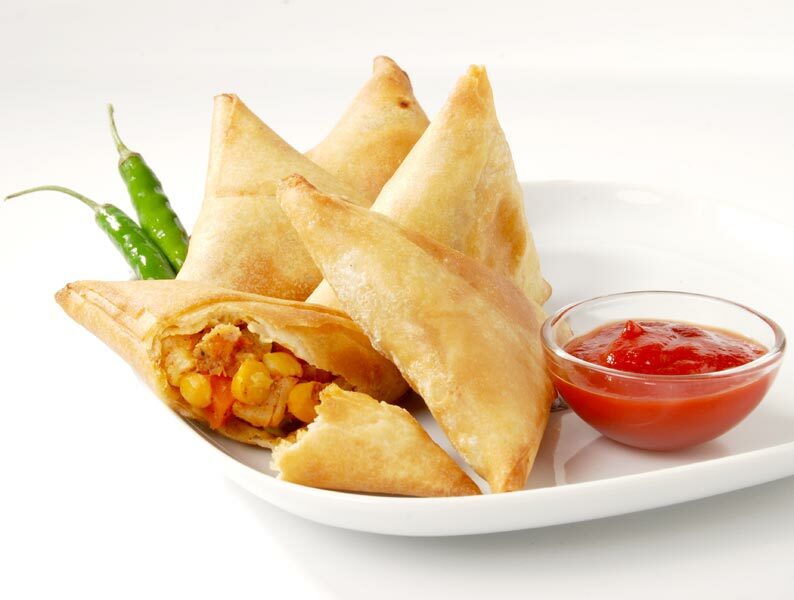 Take one bite of this deep fried popular Indian snack, and I bet you won’t stop on just one piece. Made from whole wheat bread, stuffed with mashed potatoes, green peas, dry fruits, and other several other ingredients, this one was a definite in my list. The signature dish from the southern region of Indian sub-continent. 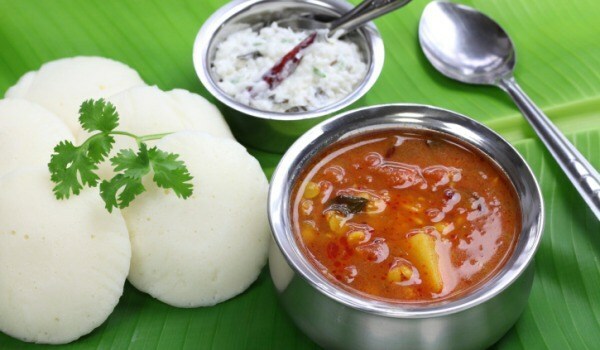 Thick batter of rice is given oval shapes and steamed to make soft and tender Idlis, while Sambhar is a lentil based stew mixed with different spices. The best part about it is, it’s tasty and very light. Considered to be the signature non-vegetarian dish of India, butter chicken is exactly how it sounds. Prepared in thick and spicy gravy, this chicken dish is made rich with a lot of butter in it. But, one bite and you won’t be able to stop yourself until the bowl is clean empty as new. 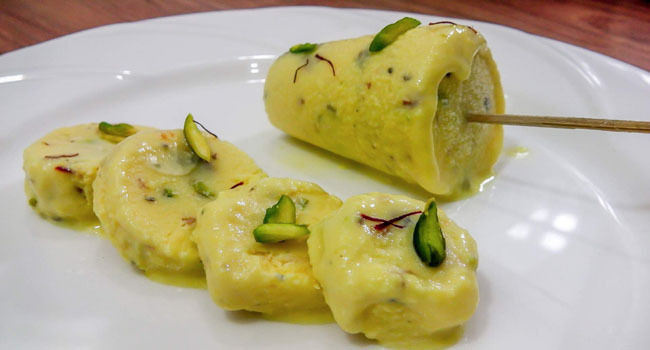 Behold the king of desserts in India! Moving on from the spicy treats from the sub-continent, let’s take a look at some sweet offerings from the country. 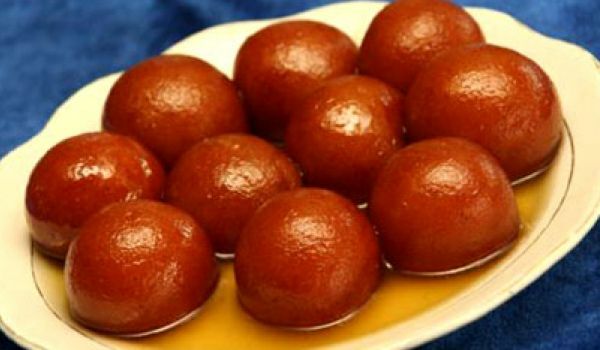 And when talking about the sweet food products in India, it can only start with the famous Gulab Jamun. Made from milk solids kneaded into a dough and deep fried in the form of balls. If you want to tag one frozen dessert as the ‘traditional Indian ice-cream’, it is this. It is a much denser and creamier form of any other regular ice-cream form. It has got variations in flavors as well as packaging. However, the taste will certainly make you forget Baskin Robbins for once. 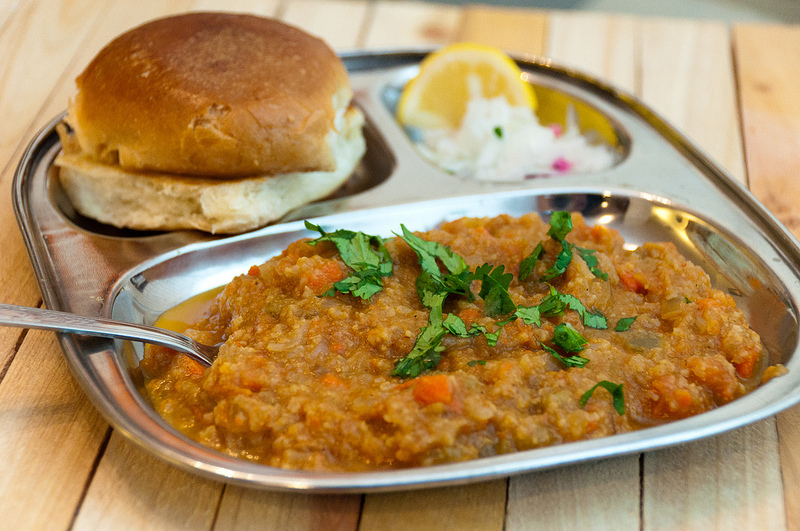 The signature dish from the western state of Maharashtra, Pav Bhaji is a platter of buns, soft baked in butter and preparation of mix vegetables; also with oodles of butter on it. You can very well imagine the richness of this dish now. Talking about signature dishes from different regions in India, I cannot simply ignore the princely state of Rajasthan. Popular for its desert safaris and pottery works, another thing that makes this region worth visiting is this heavyweight dish. 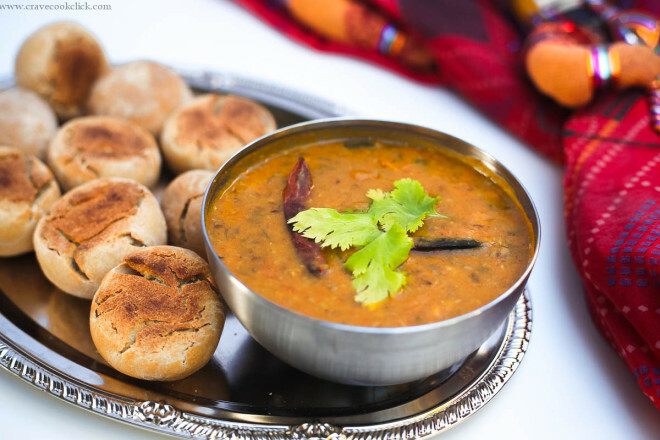 Roasted wheat rolls served with lentil soup is a trademark food of Rajasthan, and a must have on your visit. Just when you thought that the southern offerings ended at Idli-Sambhar, I bring you another south Indian delight that shares the top spot. 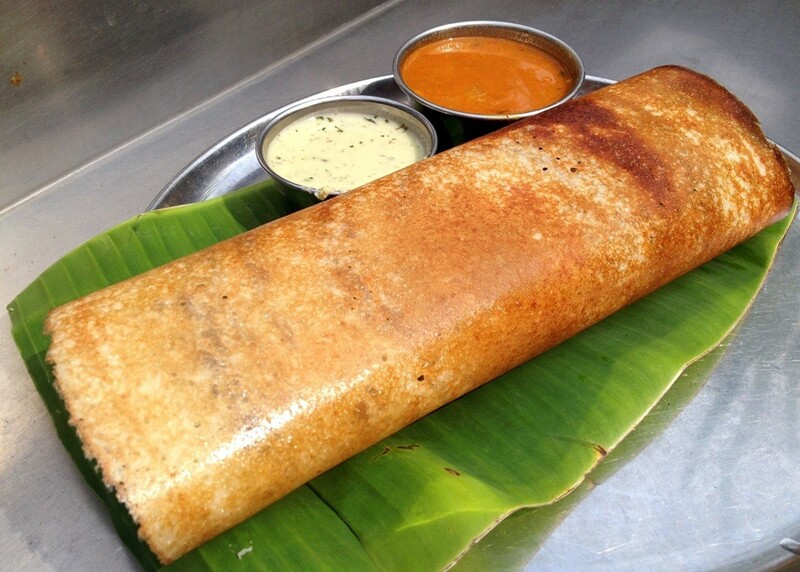 Rice is one of the key ingredients used in many south Indian dishes, and Dosa is no different. Masala (means spices) is a preparation of spicy mashed potatoes filled in between the roll of rice batter. While Idli Sambar and Masala Dosa is the representative of South Indian veg cuisine, Biryani is the leader for non-vegetarian delicacies from the southern India. 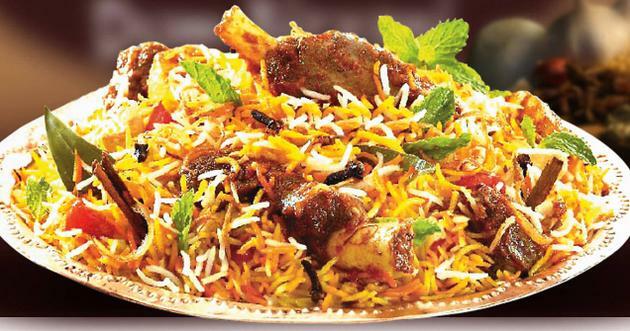 Nationally famous, dum biryani is a rice preparation mixed with meat (chicken or mutton), spices, onions, yoghurt, coriander leaves, and a hint of saffron. Mouthwatering? Indeed! My volunteer trip to India was most certainly a success, with some really meaningful and satisfying contribution I got to make to the community, and the lip-smacking dishes that I got to gorge on. Have you had the opportunity to try any of these? Is there any other Indian dish that is your own favorite? 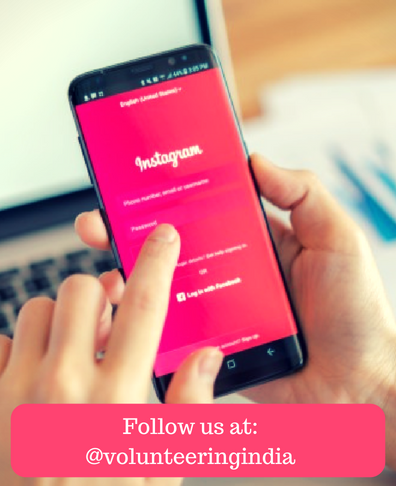 Share it in the comment section below.